There’s no local boats here. Nearly nobody fishes. We see no families on picnic at the river. There’s no riverside promenad or restaurants. It has been +30 – +40c for days and we’ve seen nobody swim in the river – not even dogs. There’s no beaches or public piers here. There’s very little traffic on the river, just a random tourist-hotel boat or a long river cargo ship. The town of Aramon, like other small towns in the area, are a good distance away from the river behind a flood wall – or two. It seems to us that the river does not exist for the locals. It is there but it is unused, ignored and isolated from the life of the locals. Why? It’s because it is the monster river. The river has a current, it floods every now and then, and when the mistral winds from north funnel through the riverbed it causing a scary, violent howling sound. 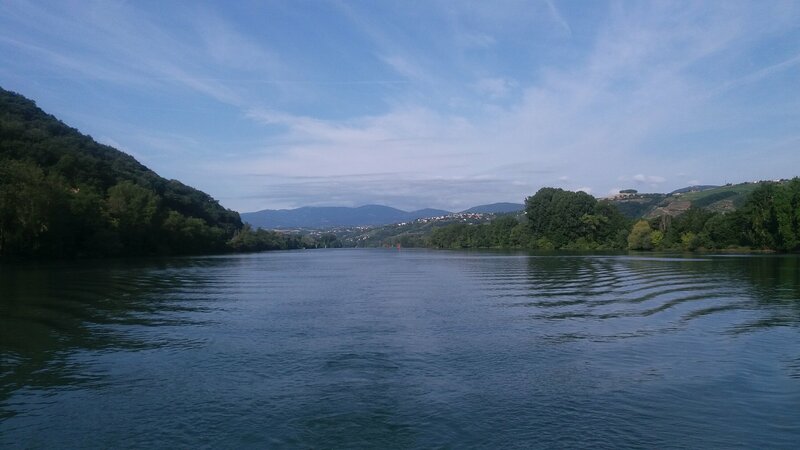 Rhone is a river that the locals turn their backs to rather than look at it. 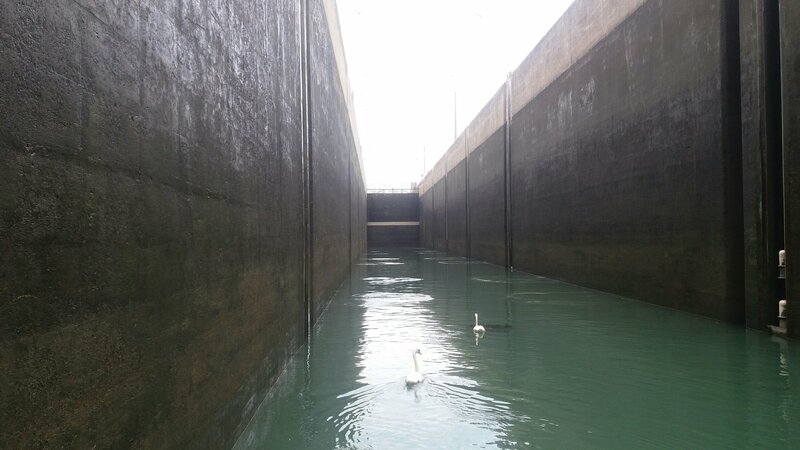 The river is a dangerous inconveniance and therefore it should be avoided at all times. The river reached the Aramon town wall until 1970s when the massive flood walls and an artificial bulking river was build inbetween the town and the riverbed. Finally the river was taken under control. But still, in the last big flood in 2003, 9 people were killed in Aramon by the monster river. One of the nearby villages even has a special seremony for the monster river: they burn a monster figure in a pyre each year. 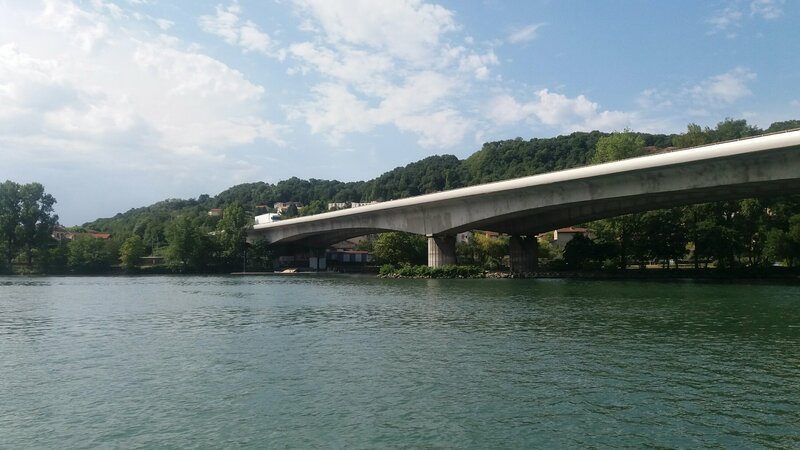 We cruised this monster river – Rhone – from Port-St-Louis to Lyon. We saw lots of potential in the river and enjoyed the unbuild nature around it. But the locals must have thought we are insane. 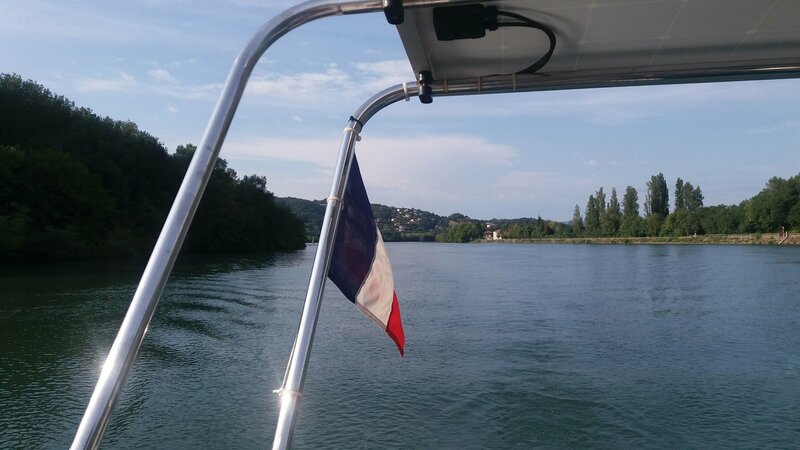 This entry was tagged French canals, french inland waterways, Rhone, rhone with a sailboat, river Rhone, sailing rhone. Bookmark the permalink.